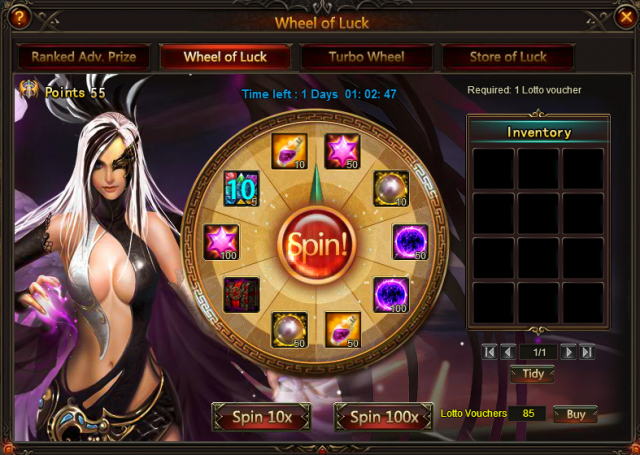 [color Spin the wheel of Luck to win Bless Stone,Lv.9 Valuable Gem Chest, lvl.10 Fusion Gem Chest, Spring of Wisdom, Soulstone, Adv. Energy Card(10) and more! 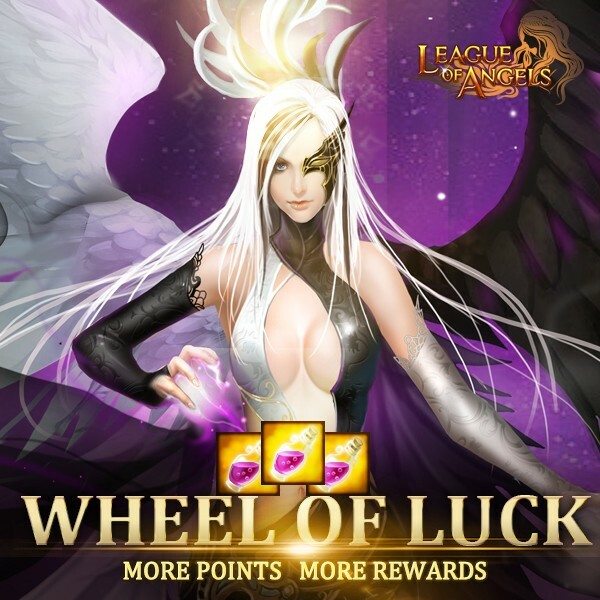 i can get lunar prince this event is she deserve or not?!! Nah You don\'t need to have healer in your team. It\'s useless. 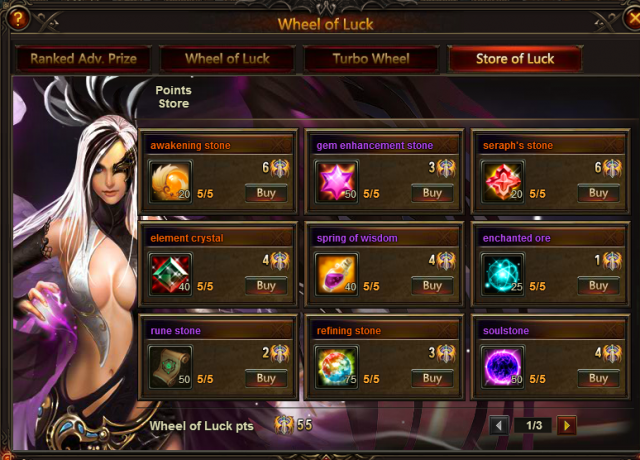 But if you really want, get Blazing Hecate. 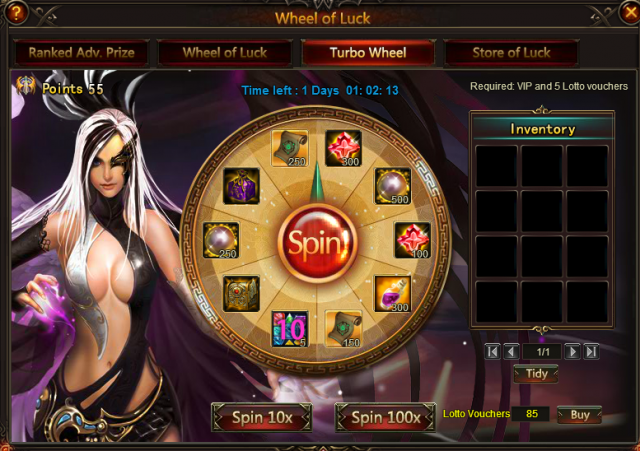 Another nerf to turbo wheel.. ;just another rip off.. i used 880 att and got ZERO gems !!!!! ; They dont care about us.. just want us to spend spend spend.. and they keep giving us less and less.. Shame !!! 2019-4-22 00:50 GMT+8 , Processed in 0.078857 second(s), 52 queries .